@brunorios, yes and no, that is how you will style the individual node display whereas the view is to make a grid of all your albums which users can then click to go in to and view all the images of that album. I followed these instructions, but I get a blank page... The View title is there, but nothing else. I am using the current version of all the above specified modules. I already had a content type with the imagefield, so I did not create a new one. I went through it to make sure that it was like you specified above. Any suggestions? If you view the original node with the image, is it visible? Yes, it is... I think it may be something to do with IIS, could that be? I got it working on another setup which runs on Apache. By the way, how do you get them to display one after the other by clicking a next arrow or button? At the moment, the individual images are popping up. Thanks again! Very well done! Lightbox should automatically register them all and give you the next buttons. If the image is working in the individual node but not the view, I would check your view again to make sure you haven't missed something out. Thanks a lot of the great tutorial. I finally managed to get the albums in place. http://artbydinesh.in/node/150 page and only when I click on the images I get album. Is it possible to open the album2 directly after clicking any album2 image on http://artbydinesh.in/photo-album instead of going to another page? It is possible as I have seen it done through a Drupal site, but I haven't looked in to how to do it. Hi. I have sort of the same problem as Harry. When i create an imagegallery node and upload the picture, it dosn'nt appear on the node when i view it. All i see is a broken link. The problem is that the image dos'nt automaticly get moved to the correct folder. When i upload the picture, it gets uploaded to the folder "files/gallery". The broken link on the node, links to "files/imagecache/resize/gallery/image.jpg". I then have to resize the image manually to a "crop" and a "resize" format, and then move em to "files/imagecache/resize/gallery/image.jpg" and "files/imagecache/crop/gallery/image.jpg" for it to work. Any idea whats wrong and what i can do to solve this? Make sure your files directory is writable and that clean URLs is enabled. Hi. The files directory is writable. But somehow i can't get clean URLs to work. Think the problem is on the web-server. Im using "Internet Information Services (IIS)" on my web-server. Any idea on what to do, to get it to work? It's an awesome tutorial that I can get it done by using Shadowbox. thank you so much. For a normal block creation from a view I know how to create it. But how can we create such a wonderfule photo widget bock in our site as she does? You would have to create another module which hooks in to the views module which would allow you to create a block with a new type of display which passes the image data to the flash object. Thank you admin for response. Thank you admin for response. I haven't hooked into view yet. Any further instruction such as which APIs should I use and how can I pass these images to the flash object? Any article specific about this? many thanks and I do appreciated it a lot. I would love to start this module and will contribute back to Drupal for sure. I have never hooked in to the Views API so I don't know how easy it is to do that. As for the block, you just need to display the block using the flash object and the PHP can generate an XML output using views or a custom SQL query to pull out all the images. As supervisor/superuser the gallery-show functioned properly. But when I logged out, and became a "regular visitor", I could only see the titles of the albums: Neither thumbnails, nor images were visible. By chance just before testing as a "regular visitor" (= anonymus user), I had viewed the Permissions in Drupal. So, not seeing the thumbnails & images, made me realise it was a Permissions-issue. Just give the anonymous user the Permission to vief the image_field you created according to this tutorial, and anyone can browse the galleries. I just started with Drupal, and don't know anything about MySql nor PHP. I just use the Drupal-interface to generate the website. So, placing code to get a 3*3 grid for the Photo Albums is not feasable for me (yet). But I do want users (=visitors) to see the pictures in the Albums in a grid, whilst the editor (the guy that uploads them to the site) can see them in a list on a page, en delete them at will (for him that way, that list has a purpose). But, is it possible to get the Album in a view (which contains a grid), and so have a view of a view when viewing the gallery ? Or, another user-friendly solution: Is it possible to start the Lightbox-slideshow of an Album at the moment a user selects that Album from the gallery (tjat is without entering the Album-page) ? There are ways to get the lightbox to show up without going in to the node, but I haven't looked in to how. 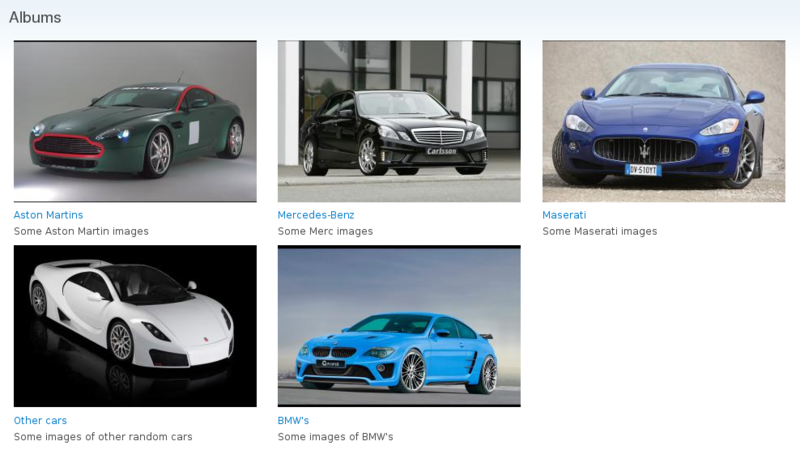 As for getting a grid view without PHP, I have tried to do an override using Views but haven't been successful. One way would be to create the layout as a block, then create a node override using Panels then add that block using the node nid to build the grid but that will still require PHP. "To add more images to existing albums, you can either click the Edit tab when in the album itself, or go to admin/content/node then click edit next to the album that you wish to add the images to." It's not very userfriendly loading all the uploaded images whenever a user wants to add an image to an existing gallery. It would be a lot better if you could just add images without editing the whole node. It is the way Drupal works. It is the way Drupal works. It allows you to easily remove images as well as upload images. Works fine but 1 little problem I'm having. I can't seem to get the album cover image to display and instead I'm just presented with clickable text links for each album. I've checked my settings against yours and it's matches up 100%. Would appreciate any help, thanks! Is the HTML source showing the correct link to the image? If you are just seeing the text, it may be the alt text. there was no image or alt text in the source code. I've just redone everything and it's working fine now but can't figure out why it didn't work in the first place. Thanks for a great tutorial though! You have probably put the text in to the footer box of the view rather than the empty one. I've tried all the things mentionned in the comments, but I still am unable to view the images in the lightboxes. You need clean URLs enabled and the files directory must be writable. This is really great! Thx a million!! Thanks for the tutorial, it helped a lot. I have a multilanguage site. Is there a way to translate the album names? I enabled Multilingual support for the Album content type. I can edit the language in the album node, but the album shows up on all languages. Selecting the language, does not filter out only albums with the required language set. Any ideas to make it work? I tried the Translate interface feature, but it allowed to change only the page name. The album names do not show up in the Translate interface search option. I haven't used the translation tools/modules available for Drupal so I am unaware of any potential problems. The bit you are talking about is generated from Views, so that could be your first step to finding an answer. Thank you for the quick answer. I'll look into Views, maybe I'll figure it out. I'm setting up a Drupal website and I'm wanting to display a gallery of images for a node type. I thought this great tutorial of yours was the answer, but not quite. I've created a content type called cameras and added a new CCK field called 'associated images' (field_camera_images) with File (type of data to store) and File Upload (Form element to edit the data) so that a user can upload one or more images for that particular content type. What I'm aiming for is to use Panels to add a gallery of images (grid style, say 3 maximum with pager for more) associated with the camera content type. Is this possible do you know? This is turning out to be quite a challenge! You will want to use Views rather than Panels to create that grid as in the tutorial. Not sure how you want to use Panels? Thanks James. I'm trying to set up a view and then add it into a Panel to display on a page. What I can't fathom out is to display a grid of associated images for the node I'm looking at. For example, if looking at /node/5, I only want to see a grid of images for that node. This is a great tutorial! It's the answer to a Drupal newbies prayers! I am developing a site locally and everything is working as you state in your tutorial. I have created an album based gallery as you have described and have successfully created a grid of images as you have described in another tutorial. I produce a monthly newsletter to which I want to attach a monthly album of images. I have no problem, so far. What I DON't want, is the monthly album to appear in the main gallery. Is that possible? I hope that my explanation conveys what I want to do. Any advice would be gratefully received! 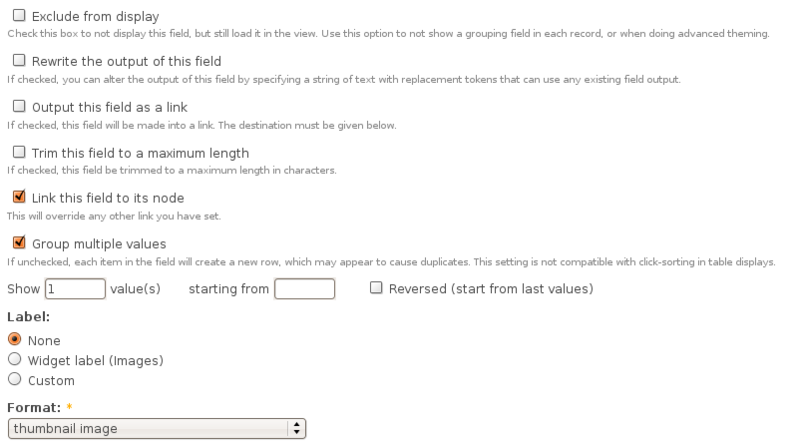 All you will need to do is a field which you can set what type of album it is, either using CCK or taxonomy. Then in your view you can add an additional filter to select only galleries where the CCK field is "maingallery" or where the album is tagged with a certain term. Then in your view you can add an additional filter to select only galleries where the CCK field is “maingallery” or where the album is tagged with a certain term. How wonderfully simple! Thanks for the quick response. Under Permissions in User Management. What do I do if I allready have folders on the server filled with images (eg I use FTP to upload all the images - one folder for each album). Is there some way I can use something like fupload or maybe I could write some code to scan the folders and then add the images to an album. I have more than 1000 pictures already sorted in folders on the server, so I don't want to reupload everything, and I would very much like to use this album tutorial here as well. Anders, you should be able to use the Image Import module which is part of the Image module (http://drupal.org/project/image) which allows you to "simplify adding multiple images by importing images from a directory on the server." So easy! Thanks for the great tutorial! 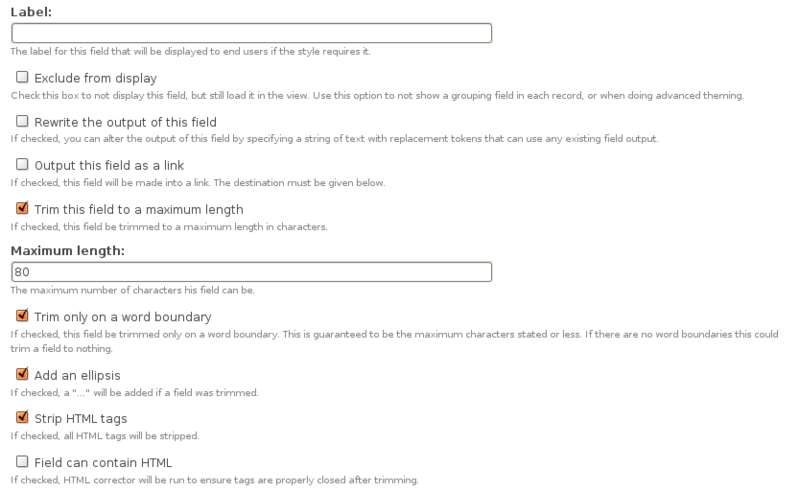 I'm using Drupal 6 and I can't see the node section. Thanks for this tutorial mate! Its awesome! Really did help me a lot..